Say Assistive was created because we believe that access should be available to all areas related to communication, teaching, studying and recreation. We wanted to give patients with more advanced needs total autonomous control of their computer and any software installed on it, easily and at any moment without foregoing any function or service. All functions can be accessed directly with the touch screen by touching the cells to be activated. It is also possible to use the touch screen in all dynamic screens of the Say Assistive software. Each grid and the computer can be controlled simply by looking at the area of interest. The software recognises the direction of the gaze and carries out the functions associated with that cell or area of interest. Each grid can be controlled through the sensors, and through the sensors and eye pointer in parallel mode. The software implements different types of scanning, each of them configurable and customisable. 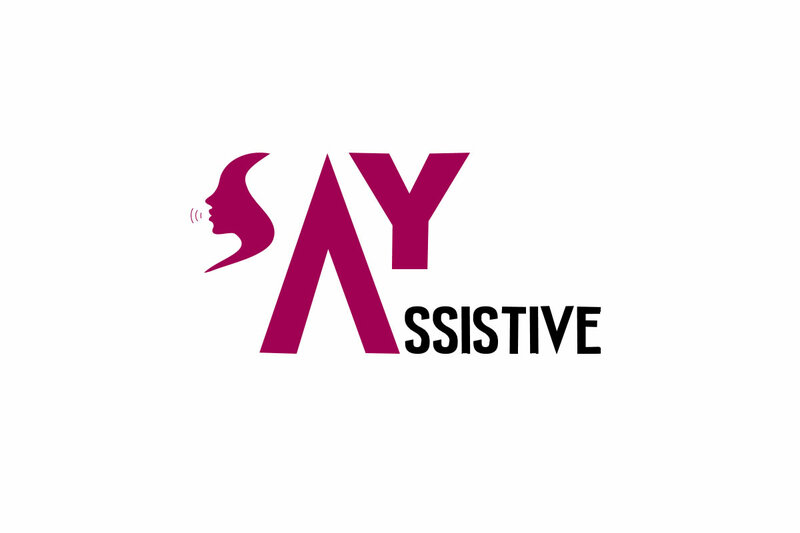 Say Assistive is the brand-new software for temporary or permanent expressive language disorders – it can be installed on any kind of computer or communicator. It is intended for patients with mild disabilities, or severe if related to the locomotor system, and for patients with cognitive and/or sensory disabilities. Thanks to its innovative functions, any kind of activity can be carried out in complete autonomy and simplicity, even one that is seemingly more complex. There are over 400 commands available, one for every kind of activity: writing texts, writing texts with image insertion, internet browsing and checking email and attachments, controlling the computer and home automation system, SMS and phone calls, sending alarms, recreation and teaching. Write simple notes or draft more complicated documents with image insertion. You can choose the font, size, colour and format it to your liking. Each text can be saved for further modifications and exported to a pdf document to be sent via email. Browse any internet site, read online newspapers, listen to music or stream films, access YouTube, Facebook, Twitter, WhatsApp or read RSS Feeds. Receive and send emails without foregoing any available service. Any software installed on the computer can be controlled both through eye control and desktop scanning. Manage the domestic network and autonomously control all your computer’s functions. A transparent background can be used in these grids so that there are no limitations when controlling the computer. Thanks to the innovative interface for creating structures, all aspects of any kind of grid can be created and modified. 20 workspaces, over 400 commands, keyboards and dynamic content allow for any kind of grid to be created, and with it, for any kind of activity to be carried out, even the most complicated, quickly and in complete autonomy. There are no restrictions: everything created can be personalised in a few clicks.